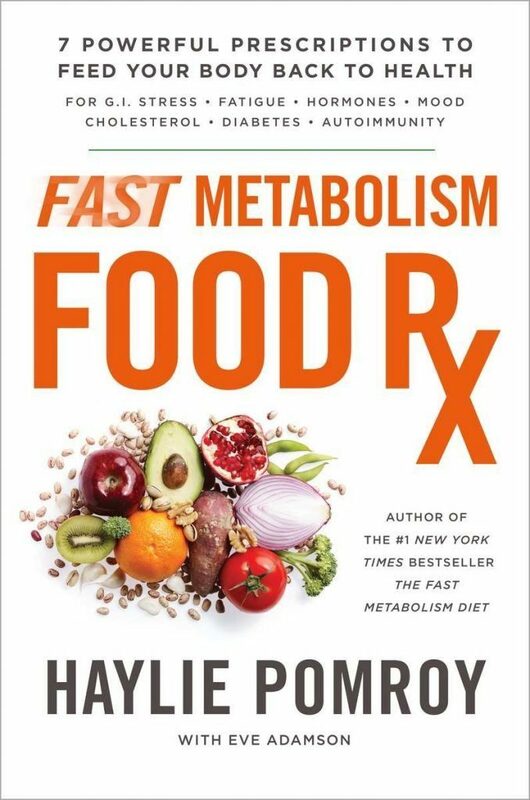 I partnered with Harmony Books to share the #FastMetabolismFoodRx with you! One of my most popular all-time posts was about the Fast Metabolism Diet a few years ago. At that point, I was doing all of my regular exercise classes and staying in shape. I had a friend who followed the book’s diet for a college reunion and said she saw great results. Now that I am almost 45, I have noticed my body is slowing down. I have more aches and pains, and the hormones are out of control. I was thrilled to get another perspective, since I recently started seeing an acupuncturist for some muscle problems. The Fast Metabolism Food RX really has you look at your own body and see what it is subtly trying to tell you with each little symptom. If you ignore it, you will become sick. If you are proactive, there is a chance food and diet will help improve your health. WANT TO FEEL GREAT, DISEASE-PROOF YOUR BODY, AND LIVE IN OPTIMAL HEALTH AT YOUR IDEAL WEIGHT? When multiple health challenges threatened author Haylie Pomroy’s life, it set her on an investigative journey that was both life-changing—and lifesaving. In this book, she shares her personal story for the first time, as well as the powerful food programs she created based on the methods and philosophies that saved her life and helped her thrive. For decades now, these same food therapies have provided profound clinical results in her clinics where she’s treated thousands of others. In her new book, Haylie teaches us that anyone can achieve the healthy body they want from the foods they choose and use. Are you ready to eat your medicine? Some interesting facts I took from the book are that you should eat within 30 minutes of waking up. I am not the type to skip breakfast, but sometimes — especially on the weekend — hours can pass before I actually eat. It does not have to be a huge breakfast, just some nutrition to tell your body it is time to get moving. Additionally, you should not starve your body, but rather feed your body for the best success. Diet to Haylie is “DID I EAT TODAY?”. No more starvation diets or processed foods. Her book empowers you you to easily follow different food prescription plans to get your body on track. I decided to focus on Chapter 7, PMS, Perimenopause, Menopause and Manopause. If you are a woman, you are dealing with some facet of this topic. Our hormones are doing crazy things, causing us to act and feel different from our true selves. I don’t want my hormones to take over causing me to yell at my family, so changing a few dietary foods can help me through this time. It is worth a try, and because I like to eat and cook, this is a great start for me. Haylie lists the power foods for each type of repair as well as a five “meal/snack” sample menu. The Fast Metabolism Food RX does not suggest you try to repair your issues solely on your own and through this book, but rather it encourages your doctors, or “Dream Team” as she calls it, to get involved and take the necessary tests to see if things are working. Women in their 40s and up, I dare you to read the “self discovery zone” of chapter 7 and tell me how many of these symptoms you are experiencing right now. I have 11. I’m telling you, this self discovery part is mind blowing. Now it is time to sit down with the book and create a meal plan to get myself back on track. HAYLIE POMROY, nutritionist, #1 New York Times bestselling author, and owner of integrative health care clinics in Beverly Hills, Burbank, Irvine, and Fort Collins, is well known in Hollywood and in the medical community for her ability to use food as metabolic medicine. She has appeared on PBS, The Dr. Oz Show, Good Morning America, Katie, Extra, and Access Hollywood, and has been featured in First for Women, Harper’s Bazaar, Marie, Claire, People, New Beauty, and more. Her celebrity clients include Jennifer Lopez, LL Cool J, Robert Downey, Jr., and NFL athletes. One (1) winner will receive a copy of Fast Metabolism Food Rx. Enter Rafflecopter Below. Prizing and samples provided by Harmony Books. I would love to share this with some of my clients! I am always looking for new or different perspectives and voices to learn so I can be more prepared for whatever challenge comes up when working with nutrition and women. I definitely need this. We are not getting younger – it’s always better to work on our health and not take it for granted. I would really like to read about Menopause so I can be prepared when that day comes! This is interesting. I usually don’t have the appetite to eat after waking up. I will start changing my breakfast habit. Using food as preventative medicine really appeals to me. I can see such a difference in myself when I eat the right foods, I can only imagine what’s going on inside. This sounds like a really interesting book. I had no idea you should eat within 30 minutes of waking up. I’m not hungry in the mornings, so sometimes I even skip the breakfast – I know it’s not good, but I just can’t make myself eat if I’m not hungry. What a fun giveaway! This book looks awesome – I try and increase my metabolism a lot so this is great! yes my chapter I described was but included in that chapter is MANOPAUSE! The other conditions such as diabetes, autoimmune, low energy etc can be anyone. Sounds like this is more focused on women’s health. Will be sure to pass along the info to my wife. Sounds Interesting 🙂 I also want to read the Chapter 7 🙂 I’m going to check it out. This is interesting! I haven’t heard of this before, but I like that it plays to your metabolism! If were going to change something, I would pick Mood Changes and Cognitive Challenges. I want to improve Fatigue, Low energy and Exhaustion. Very interesting! I know I should be eating healthier for various reasons but never really take the time and effort to do it. I am also very interested in reading Chapter 7, PMS, Perimenopause, Menopause and Manopause myself. Thanks!